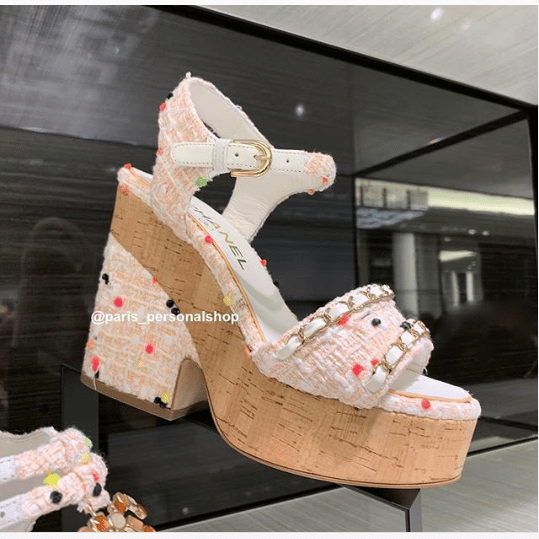 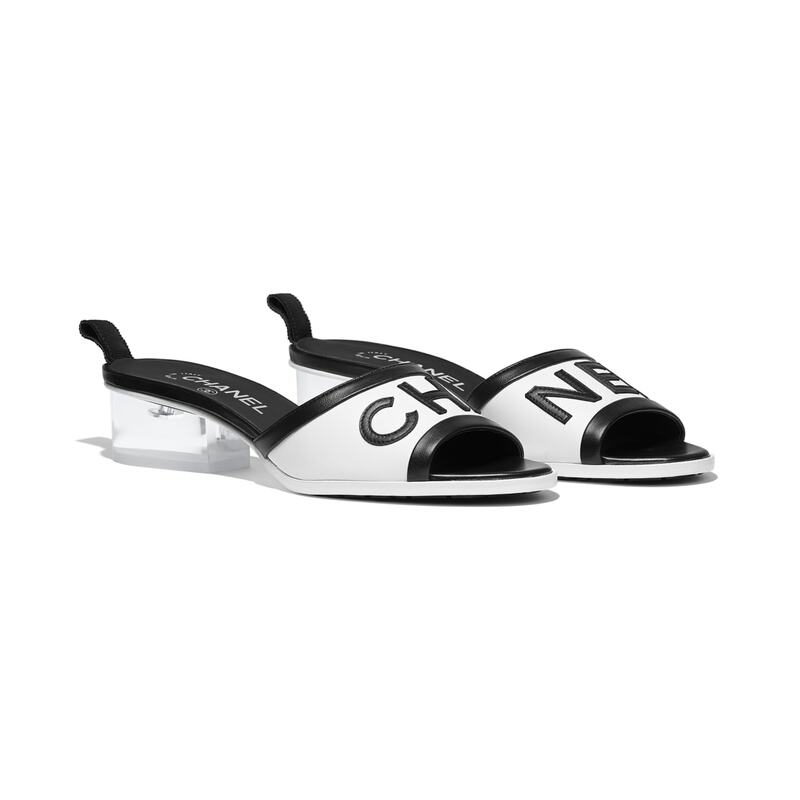 Introducing the Chanel Sandals from Spring/Summer 2019 Act 2 Collection. 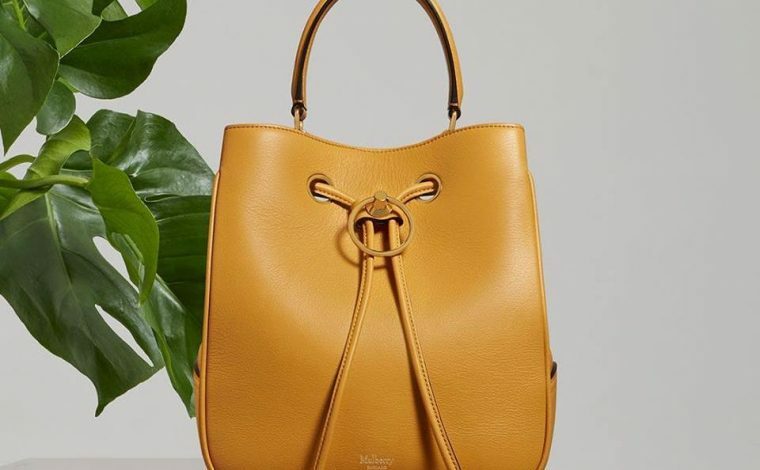 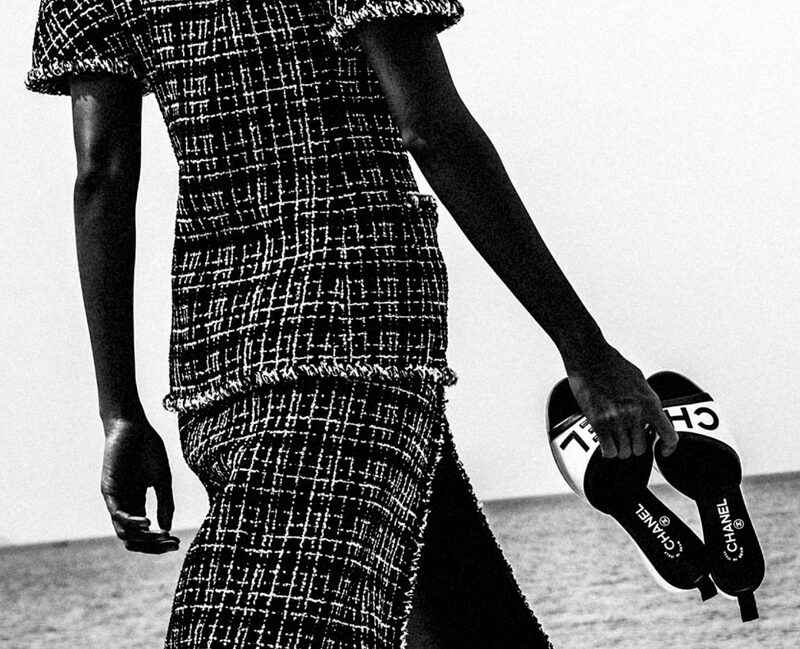 These includes the mules that were spotted during the runway show. 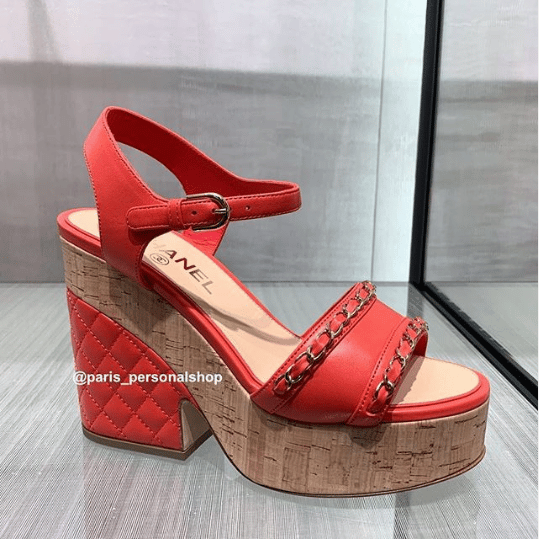 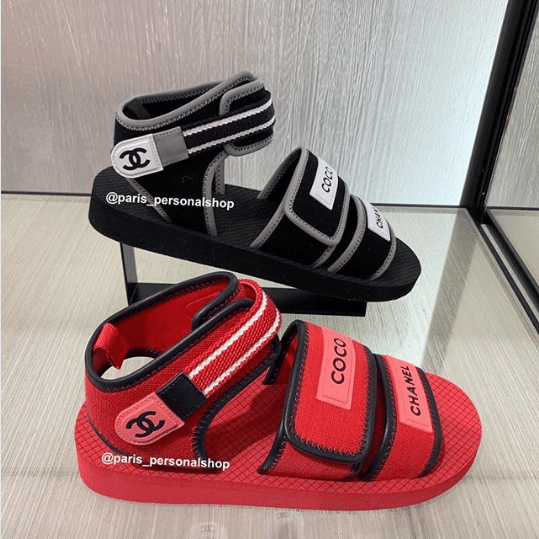 The mules are made of lambskin and PVC with the Chanel logo. 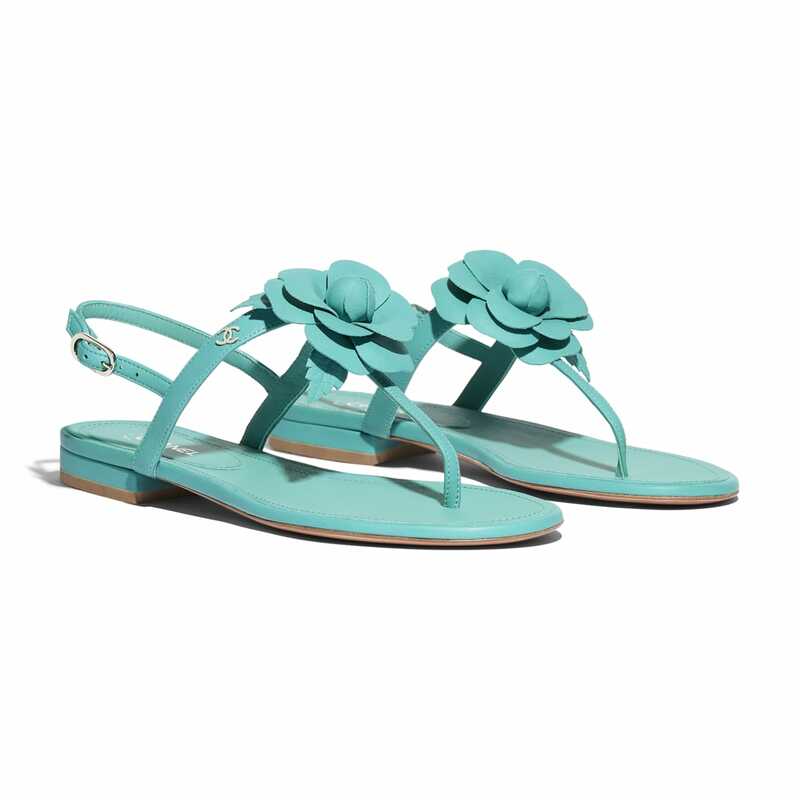 It features a small by the heel of the shoe, allowing it to be hooked on to the bag, similar to the runway style. 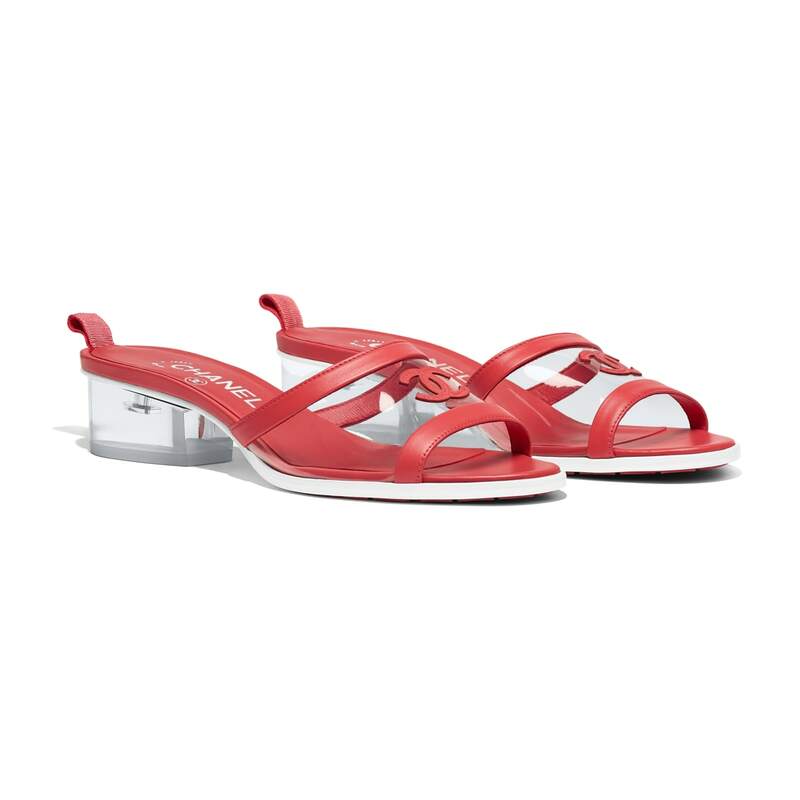 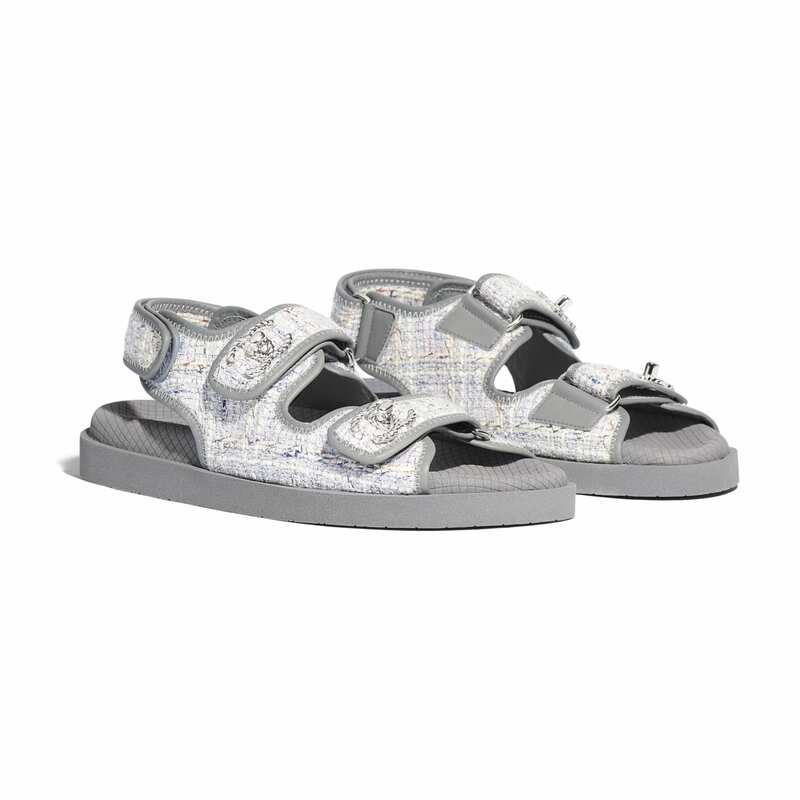 Also included in the collection are tweed and lambskin wedge and thong sandals. 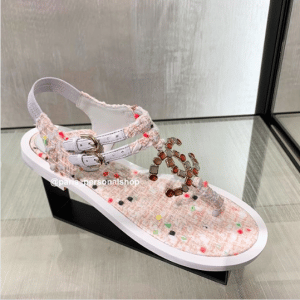 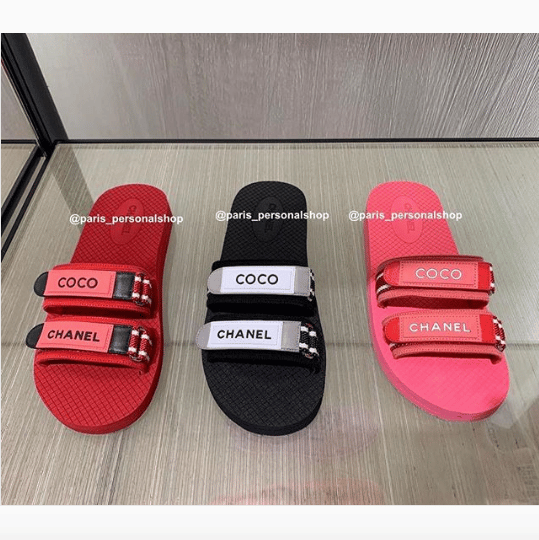 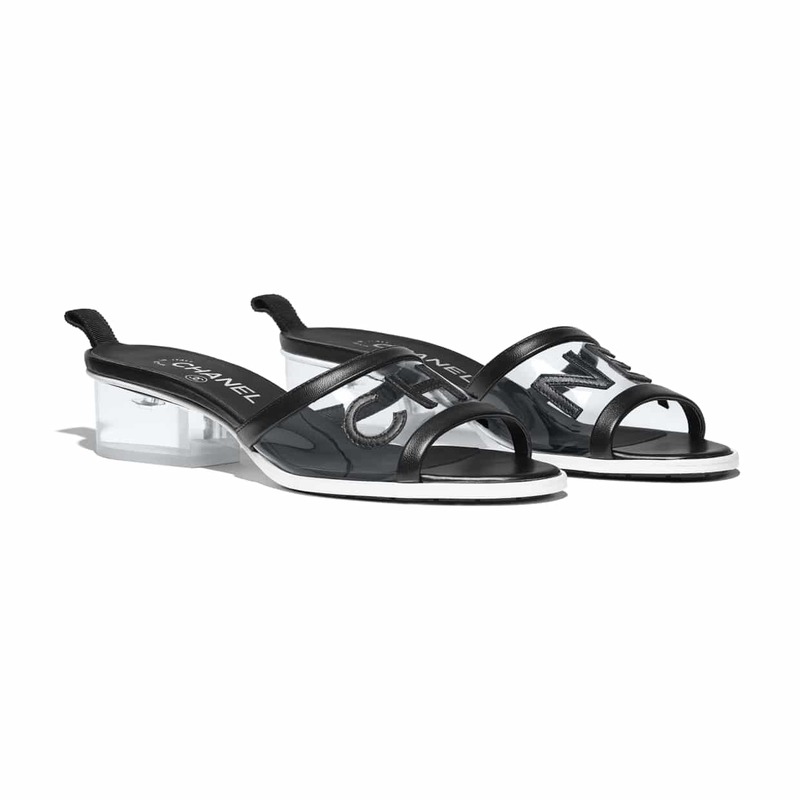 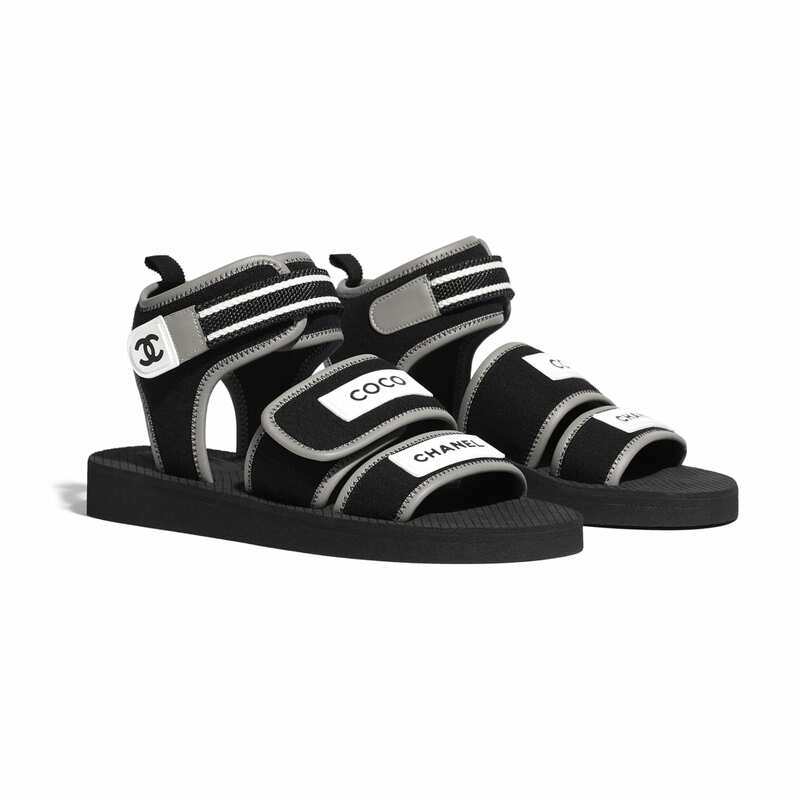 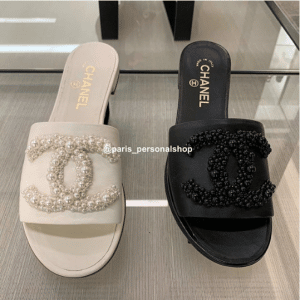 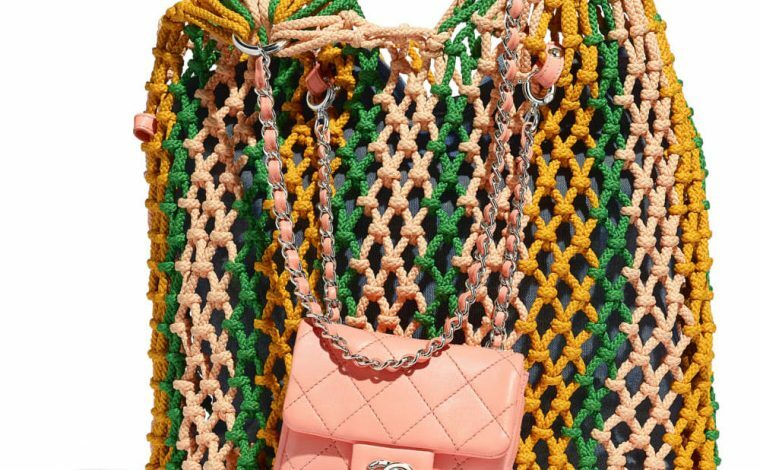 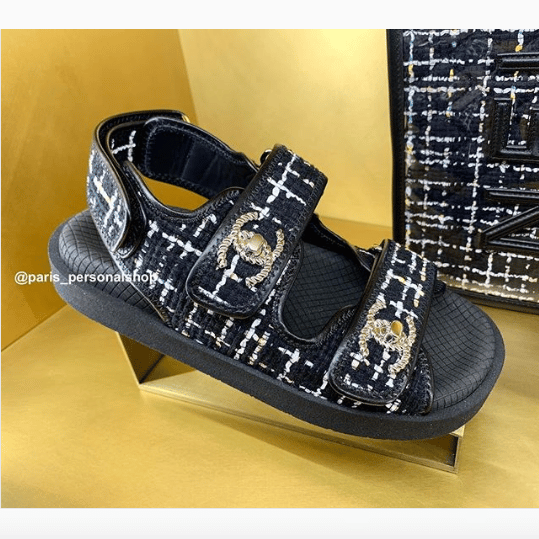 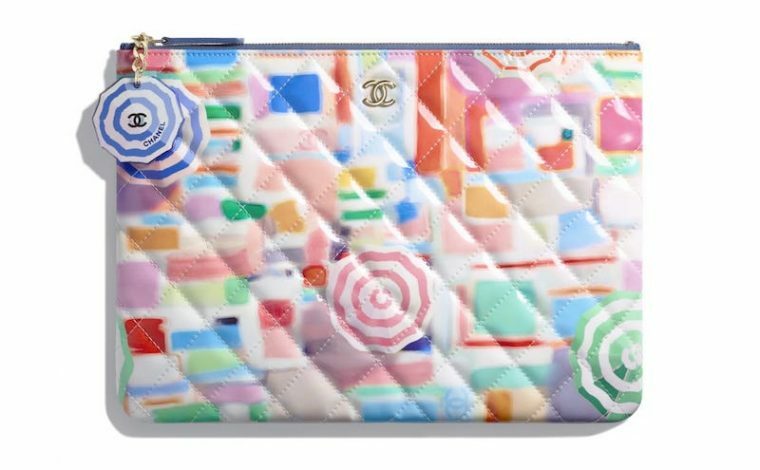 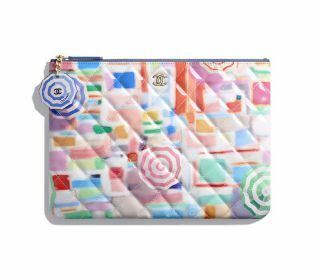 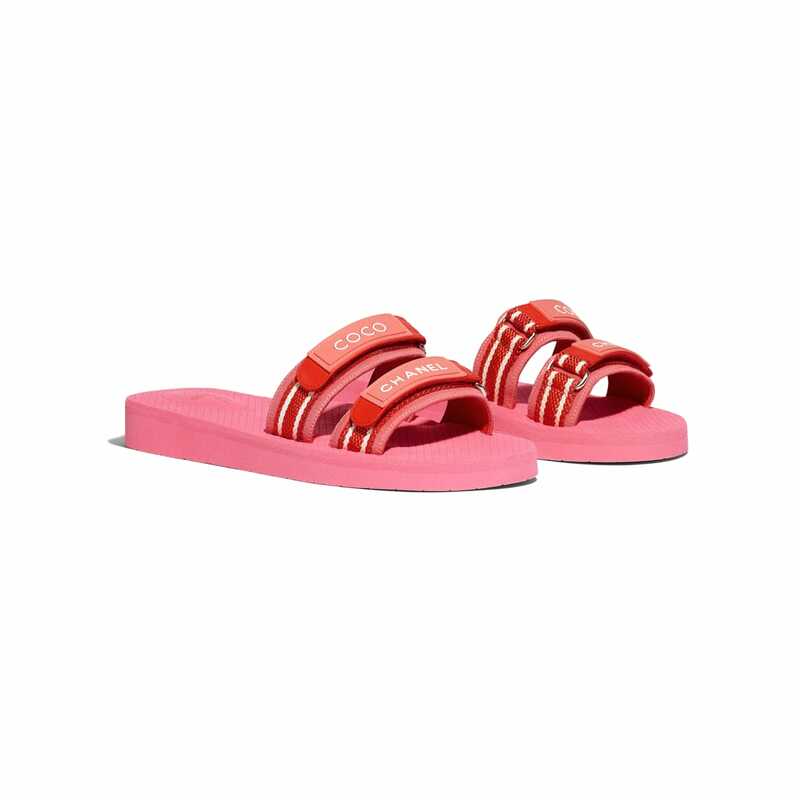 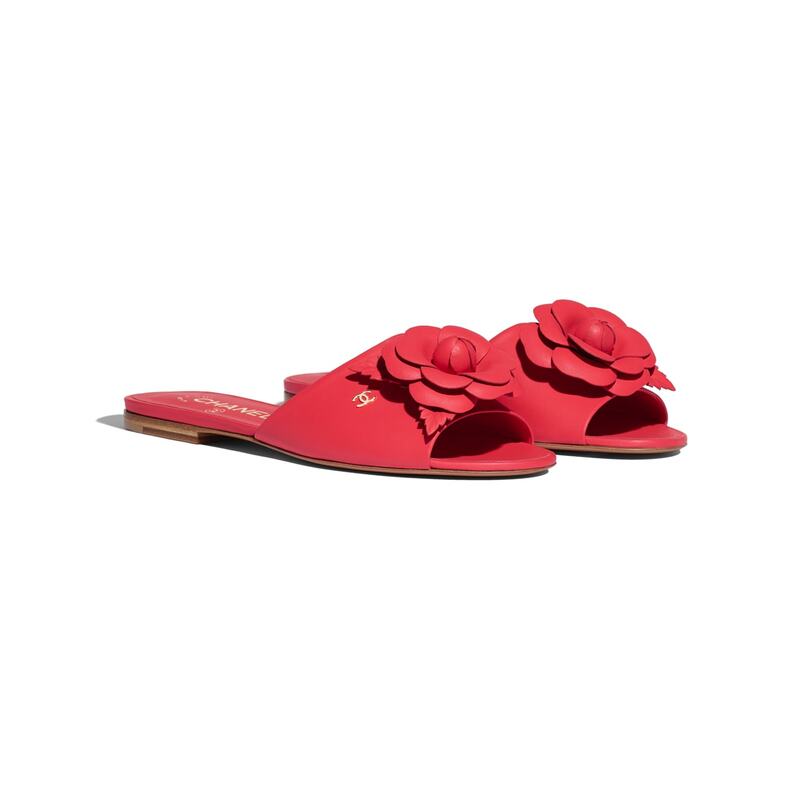 For a more casual look, Chanel offers fabric and rubber sandals, that can also be used at the beach. Gorgeous flat sandals are also seen with the CC logo made of pearls.